My teaching and research are focused in a number of specific areas which are, nonetheless, linked by my theoretical and activist interests in class, gender, political consciousness, agency and progressive social change. I am located in the Critical Policy, Equity and Leadership Studies group. My current research program includes projects which reflect my interests in the history of Canadian education, Indigenous education, gender and education and critical policy studies. I will be retiring on 30 June 2014 and will only be available to supervise new graduate students in exceptional circumstances. Coulter, Rebecca Priegert and Ahnungoonhs/Debassige, Brent, eds. Woven Words for Indigenous Education. Ottawa, ON: Canadian Centre for Policy Alternatives, 2013. Coulter, Rebecca Priegert, ed. The Gifts Within: Carrying Each Other Forward in Aboriginal Education. Ottawa, ON: Canadian Centre for Policy Alternatives, 2009. Coulter, Rebecca Priegert and Helen Harper, eds. History is Hers: Women Educators in Twentieth Century Ontario. Calgary: Detselig, 2005. Coulter, Rebecca Priegert and Ivor F. Goodson, eds. Rethinking Vocationalism: Whose Work/Life Is It?Toronto: Our Schools/Our Selves Education Foundation, 1993. Hutchison, Fay with Rebecca Coulter and Gilda Sanders. Resources for Studying Women in Canada: An Annotated Bibliography of Bibliographies, 1975-1985. Athabasca: Athabasca University, 1989. Coulter, Rebecca Priegert. “‘Why does she need me?’: Young Men, Gender Politics and Personal Practice.” In The Problem with Boys’ Education: Beyond the Backlash, edited by Wayne Martino, Michael Kehler and Marcus Weaver-Hightower, pp. 82-101. New York: Routledge, 2009. Coulter, Rebecca Priegert. "Gender Equality Policy in Canadian Schooling." Invited chapter in Gender and Education: An Encyclopedia, 2 vols., edited by Barbara J. Bank, vol. 2, pp. 747-754. New York: Greenwood, 2007. Coulter, Rebecca Priegert. "Organizing in Contradiction: Women Teachers, Unionization, and the Politics of Feminized Professionalism." In History is Hers: Women Educators in Twentieth Century Ontarioo, edited by Rebecca Priegert Coulter and Helen Harper, pp. 161-189. Calgary: Detselig, 2005. Coulter, Rebecca Priegert. " 'Girls Just Want to Have Fun' : Women Teachers and the Pleasures of the Profession." In History is Hers: Women Educators in Twentieth Century Ontario, edited by Rebecca Priegert Coulter and Helen Harper, pp. 211-229. Calgary: Detselig, 2005. Coulter, Rebecca Priegert and Harper, Helen. "Introduction: History is Hers and Ours." In History is Hers: Women Educators in Twentieth Century Ontario, edited by Rebecca Priegert Coulter and Helen Harper, pp. 13-30. Calgary: Detselig, 2005. Milburn, Geoffrey and Coulter, Rebecca Priegert. "Changing Cultures and Schools in Canada." In World Year Book 2001: Values, Culture and Education, edited by Jo Cairns, Denis Lawton and Roy Gardner, pp. 158-177. London: Kogan Page, 2001. Coulter, Rebecca Priegert and Wernersson, Inga. "Education, Gender Equality and Women’s Organizing in Canada and Sweden." In Women’s Organizing, Public Policy and Social Change in Sweden and Canada,edited by Linda Briskin and Mona Eliasson, pp. 213-237. Kingston and Montreal: McGill-Queen’s University Press, 1999. Coulter, Rebecca Priegert. "`Doing Gender’ in Canadian Schools: An Overview of the Policy and Practice Mélange." In Gender Issues in International Education: Beyond Policy and Practice, edited by Sheena Erskine and Maggie Wilson, pp. 113-129. New York: Garland Press, 1999. Coulter, Rebecca Priegert. "`Us Guys in Suits are Back’: Women, Educational Work and the Market Economy in Canada." In Dangerous Terrain for Women? Education Into the Twenty-first Century, edited by I. Elgqvist-Saltzman, A. Mackinnon and A. Prentice, pp. 107-117. London: Falmer Press. 1998. Coulter, Rebecca Priegert. "Re-certification: Inspection By Another Name?" In Ring Some Alarm Bells in Ontario: Reactions to the Report of the Royal Commission on Learning, edited by Geoffrey Milburn, pp. 119-126. London: Althouse Press, 1996. Coulter, Rebecca Priegert. "School Restructuring Ontario Style: A Gendered Agenda." In Teacher Activism in the 1990s, edited by Susan Robertson and Harry Smaller, pp. 89-102. Toronto: James Lorimer, 1996. Coulter, Rebecca Priegert. "Patrolling the Passions of Youth." In Edmonton: The Life of a City, edited by Frances Swyripa and Bob Hesketh, pp. 150-160. Edmonton: NeWest Press, 1995. Coulter, Rebecca Priegert. "Schooling, Work and Life: Reflections of the Young in the 1940s." In Rethinking Vocationalism, edited by Rebecca Priegert Coulter and Ivor F. Goodson, pp. 69-86. Toronto: Our Schools/Our Selves Education Foundation, 1993. Coulter, Rebecca Priegert. "Alberta Nurses and the 'Illegal' Strike of 1988." In Women Challenging Unions: Feminism, Democracy and Militancy, edited by Linda Briskin and Pat McDermott, pp. 44-61. Toronto: University of Toronto Press, 1993. Coulter, Rebecca Priegert. "Learning a Living: Aspects of Education and Employment in the Lives of Alberta's Youth, 1920-1950." In Exploring Our Educational Past: Schooling in the Northwest Territories and Alberta, edited by Nick Kach and Robert S. Patterson, pp. 97-114. Calgary: Detselig, 1992. Coulter, Rebecca Priegert. "Persistent Themes: Some Reflections on the History of Schooling and Work." In Reform and Relevance in Schooling: Dropouts, De-streaming and the Common Curriculum, edited by Derek Allison and Jerry Paquette, pp. 28-38. Toronto: OISE Press, 1991. Coulter, Rebecca. "Women and Distance Education: Towards a Feminist Perspective." In Post-Secondary Distance Education in Canada: Policies, Practices and Priorities, edited by Robert Sweet, pp. 11-22. Athabasca: Canadian Society for Studies in Education and Athabasca University Press, 1989. Coulter, Rebecca. "Teachers and Political Action: Expanding the Arena." In Educational Futures: Anticipations by the Next Generation of Canadian Scholars, edited by K. Mazurek, pp. 107-115. Edmonton: Faculty of Education, University of Alberta, 1979. Coulter, Rebecca Priegert and Greig, Christopher J. "The Man Question in Teaching: An Historical Over-view." Alberta Journal of Educational Research, forthcoming, 2008. Coulter, Rebecca Priegert. 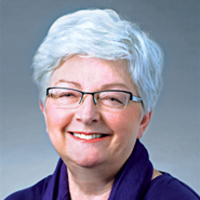 "Getting Things Done: Donalda J. Dickie and Leadership Through Practice." Canadian Journal of Education 28:4 (2005), pp. 667-698. Coulter, Rebecca Priegert. "‘Looking After Ourselves’: Women Elementary Teachers and Their Federation." Oral History Forum/Forum d’histoire orale, 24 (2004), pp. 67-85. Coulter, Rebecca Priegert. "Boys Doing Good: Young Men and Gender Equity." Educational Review, 55 (June 2003), pp. 135-145. Coulter, Rebecca Priegert. "Learning Our Lessons: Oral History and the Women Teachers of Ontario." Oral History Forum/Forum d’histoire orale, 21-22 (2001-2002), pp. 87-99. Coulter, Rebecca Priegert. "Why We Teach History: A Contesting View." Invited introduction, Encounters on Education, 3 (Fall 2002), pp. 1-3. Coulter, Rebecca Priegert. "Educators for Gender Equity : Organizing for Change." Canadian Woman Studies, 17:4 (Winter 1998), pp. 103-5. Coulter, Rebecca Priegert. "Gender Equity and Schooling: Linking Research and Policy." Canadian Journal of Education, 21:4 (Fall 1996), pp. 433-452. Coulter, Rebecca Priegert. "And Academic Sexism, Too: A Comment on The Bell Curve." Alberta Journal of Educational Research, XLI:3 (Sept. 1995), pp. 308-311. Coulter, Rebecca Priegert and McNay, Margaret. "Are More Men in Elementary Schools Necessary?" The Canadian School Executive, 14:10 (April 1995), pp. 13-17. Coulter, Rebecca Priegert. "Struggling with Sexism: Experiences of Feminist First-Year Teachers." Gender and Education, 7:1 (March 1995), pp. 33-50. Coulter, Rebecca Priegert and McNay, Margaret. "Exploring Men's Experiences as Elementary School Teachers." Canadian Journal of Education, 18:4 (1993), pp. 398-413. Coulter, Rebecca Priegert. "Managing Youth Unemployment: The Dominion-Provincial Youth Training Programme, 1937-40." Journal of Educational Administration and Foundations, 8:2 (1993), pp. 39-53. Coulter, Rebecca Priegert. "To Know Themselves: The Transformative Possibilities of History for Young Women's Lives." The History and Social Science Teacher, 25:1 (Fall 1989), pp. 25-28. Coulter, Rebecca. "Perspectives on Motherhood: A Review Essay." Atlantis: A Women's Studies Journal 10:2 (Spring 1985), pp. 127-137. Coulter, Rebecca Priegert. “Policing Professors.” Academic Matters, (Oct-Nov 2011), pp. 3-4. Coulter, Rebecca Priegert. “Defending Public Education and Canada’s Political Culture.” In Proceedings of the I Seminario Internacional de Estudios Canadienses, 2006. Holguin, Cuba: Universidad de Holguin, CD-ROM ISBN 959-16-0416-5. Beynon, Carol, Coulter, Rebecca Priegert and Harper, Helen. “Gender Equity in Pre-Service Teacher Education: Educating the Educators.” In Advancing the Agenda of Inclusive Education: Proceedings of the CASWE Summer Institute, 1996. Thunder Bay, Lakehead University: 1996, pp. 260-263. Coulter, Rebecca Priegert. “An Introduction to Aspects of the History of Public Schooling in Ontario, 1840-1990.” In For the Love of Learning: Background Papers for the Royal Commission on Learning, Vol. 1, compiled by N. Watson, J. Scane and G. Bedard, pp. 1-19. Toronto: Royal Commission on Learning, 1995. Coulter, Rebecca Priegert. "Transforming the Teacher Education Curriculum." In Proceedings of the Symposium on Innovations in Teacher Education, vol. two. Toronto: Ministry of Education, 1991. Faith, Karlene and Coulter, Rebecca Priegert. "Home Study: Keeping Women in their Place?" In Developing Distance Education, edited by D. Sewart and J. Daniels, pp. 195-198. Oslo: International Council for Distance Education, 1988. Coulter, Rebecca. "More Than Getting Through the Door: Women, Accessibility and Higher Education." In Selected Proceedings: The State and the Future of Education, edited by N. Kach, pp. 91-96. Edmonton: University of Alberta, 1987. Coulter, Rebecca. "Young Women and Unemployment in the 1930s: The Home Service Solution." Canadian Woman Studies/Les cahiers de la femme 7:4 (Winter 1986), pp. 77-80. Coulter, Rebecca. "The Charter: Significant But No Guarantee of Equality." The ATAMagazine, May/June 1984, pp. 48-51. Coulter, Rebecca. "Putting the Teacher into Teacher Education." The ATA Magazine, January 1982, pp. 34-35. Coulter, Rebecca. "The Family: History Versus Nostalgia." The ATA Magazine, March 1981, pp. 10-11. Coulter, Rebecca. "Invisible Lives: The Worker in the Curriculum." The ATA Magazine, November 1979, pp. 34-37. Coulter, Rebecca. "`The Dear Little Ones': Canada's Changing Childhood, 1880-1920." The ATA Magazine, January 1979, pp. 4-8. Coulter, Rebecca. "The School is a Social Problem." The ATA Magazine, May 1977, pp. 10-12. Coulter, Rebecca. "Strathcona Women Have Never Looked Back." The ATA Magazine, January/February 1975, pp. 26-27.